How many 18-year-olds can boast that they have won two Grammys; three Academy of Country Music Awards; a CMA "Horizon Award", four Billboard Music Awards; a prestigious BBC "Rising Star" award; have authored a book; starred on syndicated television and in a blockbuster movie; sold over 20 million records and have even performed for the Pope? Only LeAnn Rimes. LeAnn Rimes was born August 28, 1982 in Jackson, MS, and before she was two, she was belting out songs like "You Are My Sunshine" and "Getting To Know You." By age five, she told her parents that she wanted to pursue a life in show business - and pursue she did. By age seven, LeAnn made her stage debut in a Dallas musical production of "A Christmas Carol" and soon after the preteen powerhouse was singing "The Star Spangled Banner" at Dallas Cowboy games and opening for Randy Travis. 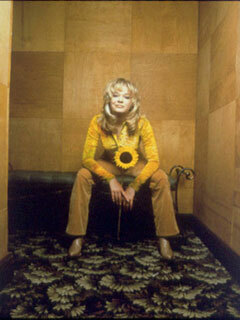 By age 11, LeAnn recorded her first album, All That, which was released on a small, independent label. The fateful LP featured an early version of what would become her signature song, "Blue." Though the album was only available in local Dallas stores, the record created enough music industry buzz to attract the attention of Curb Records president, Mike Curb. In 1996, LeAnn recorded and released her remarkable major label debut album, Blue. In the following year, LeAnn released You Light Up My Life: Inspirational Songs, which debuted simultaneously on three Billboard Magazine charts (Pop, Country and Contemporary Christian) a feat never before achieved by a Country artist. In early 1997 she subsequently released, The Early Years: Unchained Melody a compilation of her compelling early work. 1997 also marked garnered another massive hit for the young superstar with the release of "How Do I Live" which set a record by remaining #1 on Billboard Magazine's Hot 100 chart for 69 weeks. 1997 would also welcome LeAnn's first foray into acting. She starred in the ABC-TV movie, Holiday In Your Heart - which aired to public and critical acclaim. The movie was based on a book of the same title, which LeAnn co-authored with Tom Carter. 1997 was a year that was marked with more than stratospheric record sales and exciting new creative ventures for the young, rising star. It was punctuated with numerous prestigious awards including an American Music Award, two Grammys-including Best New Artist (marking the first time a Country artist ever captured that honor), three Academy of Country Music Awards, a TNN Music City News Award, a CMA Horizon Award, four Billboard Music Awards and the prestigious international honor of the BBC's Rising Star award. The following year, LeAnn recorded and released Sittin' On Top of the World, which featured the hit single "Commitment," as well as "Looking Through Your Eyes" from the animated motion picture, Quest for Camelot. In 1999, LeAnn released a self-titled CD, LeAnn Rimes which featured her unique interpretations of 11 Country standards including; "Crazy," "I Fall to Pieces," "Leavin' On Your Mind," "Don't Worry" and "Me & Bobby McGee" along with six additional classics and the smash hit single, "Big Deal." Another highlight of 1999 for Leann was performing "Written in the Stars," a duet with Elton John from his Aida album, on the People's Choice Awards, The Tonight Show, Late Night with David Letterman and the Today Show. She also served as Good Morning America's celebrity host for the American Music Awards in January. In addition, she appeared on ABC-TV's Hot 21 special, a television version of Teen People's article on the same subject. Her television appearances continued with the Today Show's concert series, MTV's FANatic, VH1's All Access and VH1's Divas Live. In November of 1999, she traveled to Europe to present a special Thanksgiving Day concert for the Pope. The Pope bestowed an official blessing upon her in recognition of her "God-given talent." After taking a much-needed break from her strenuous recording, performing, touring and acting schedule - LeAnn finally took a short break in early 2000. However, she couldn't stay under the radar for too long. Emerging like a fabulous butterfly from a cocoon LeAnn emerged in early 2000 as a "new" LeAnn. Appearing on The Tonight Show to perform "I Need You," which she recorded for the soundtrack for the television miniseries Jesus, LeAnn stunned the nation with her dramatic transformation. Rested, reinvigorated and fit from a new workout regime, LeAnn was clearly no longer the little girl from Garland with the big voice. , She was a sleek, cosmopolitan young lady with an incredible gift for performing and one of the most spectacular voices in the business. Off and running into the new millennium, LeAnn served as host for TNN's Class of 2000, made her major motion picture acting debut in Coyote Ugly (Touchstone Pictures / Jerry Bruckheimer Films). Not only does LeAnn appear in a surprise cameo in the film, but she also recorded four Diane Warren songs (including the infectious first single, "Can't Fight the Moonlight") for the movie soundtrack released on Curb Records.